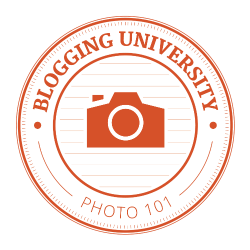 Today, I nominate Michael Bizeau and Christine Schultheis, who display stunning nature photos on their blog called “nature has no boss.” I recently discovered their blog and am impressed by the beauty of their photos. Our young Easter Egger hen had never seen snow. She was not too sure about the white stuff that suddenly appeared that morning. Good picture. 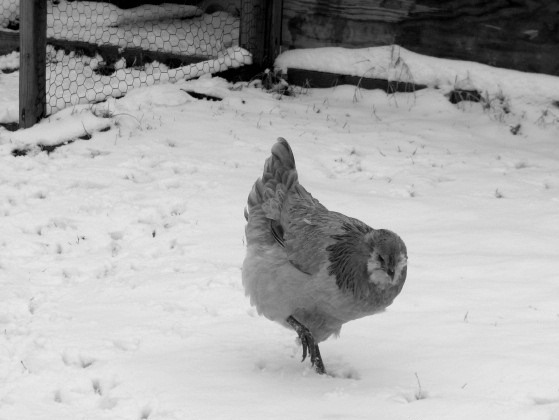 Looks like the hen is tip-toeing through the snow. She was! It took her quite a while to even step out of the hen house, then she would take one slow step at a time while staring down at her feet. Ha!